It is with great sadness that we announce to the LDI community that Richard "Buz" Cooper, MD, has died from complications related to cancer. A memorial event commemorating Dr. Cooper’s life and contributions is being planned for family, friends and colleagues at a future date. In lieu of flowers, contributions may be made to The Cooper Family Research Fund, care of the University of Pennsylvania Abramson Cancer Center Development Office, 3535 Market Street, Ste. 750, Philadelphia PA 19104.
Cooper, a hematologist/oncologist, began his long and distinguished career with a 1963 fellowship at the National Cancer Institute, spent two years as a Harvard faculty member and in 1971 moved to the University of Pennsylvania where he founded Penn's Cancer Center. He later went on to re-invent himself as one of the country's most controversial health services researchers. Richard 'Buz' Cooper, MD, died last weekend from cancer-related complications. "Buz will be remembered as a great example of a health policy expert who was fearless in standing up for his beliefs and relentless in developing research support for his ideas. 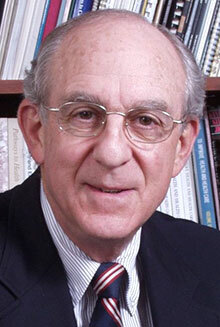 He will be missed," said Leonard Davis Institute of Health Economics (LDI) Executive Director Dan Polsky. In the late 1980s, Cooper left Penn to become Dean of the Medical College of Wisconsin in Milwaukee, the city where he was born. There, he established and led an academic center devoted to health workforce research. He returned to Penn in the first decade of the new century, becoming a LDI Senior Fellow. He had an office in LDI's building and a research agenda focused on the question of whether or not the country would have enough future physicians. In 2002 he wrote, "shortages of physicians will force the medical profession to redefine itself in ever more narrow scientific and technological spheres while other disciplines evolve to fill important gaps." In a 2009 appearance before the Senate Committee on Health, Education and Pensions Cooper warned, "There is no time in the past when the US has had shortages of physicians of the magnitude that is now developing. Innovation is the operative word, both for expanding training capacity and structuring the practice of medicine." Friend and colleague Linda Aiken, Penn Nursing School professor and Director of the Center for Health Outcomes and Policy Research (CHOPR), remembered, "Many of us at CHOPR worked closely with Buz over the years, and he was a frequent lecturer in our classes and presenter in CHOPR seminars. He was an early advocate for nurses taking on expanded responsibilities in primary care and he published many influential papers providing evidence to support full scope of practice for advanced practice nurses." David Asch, Professor at both Penn Medicine and The Wharton School and the former LDI Executive Director who brought Cooper back to Penn, said "his was a remarkable transformation from someone who was a leader in hematology/oncology to someone who became a forceful leader in the area of health policy. He was really a larger-than-life kind of character." When Cooper retired from Penn, he became Director of the Center for the Future of the Healthcare Workforce at New York Institute of Technology and maintained a high profile as a health policy expert. In his articles, his blog at BuzCooper.com, and his presentations in health policy venues Cooper countered mainstream thinking about high health costs. He took particular umbrage with the Dartmouth Atlas view that the waste and inefficiencies of physicians and health care systems were responsible for a large amount of the country's runaway health care costs. Instead, he championed the concept that widespread poverty was a primary driver of excessive health costs -- the idea being that the condition of poverty keeps a large population from getting routine health care over a lifetime, resulting in massive numbers of advanced morbidities later in life that are hugely expensive to treat. This was the central theme of the project he had just finished when he died last weekend -- a new book entitled, "Poverty and the Myths of Health Care Reform." Johns Hopkins University Press Acquisition Editor Robin Coleman said the book is scheduled for publication in August. "I worked closely with Buz on this," said Coleman. "I found his willingness to examine issues in ways that looked beyond established views inspiring and I was equally impressed by his fabulous work ethic and generous spirit."